When it comes to making Clean and Simple Style (CAS) cards, it is important to keep your card uncluttered and to draw viewers' attention to one main image. In this post you will learn three tips for making a focal image stand out. 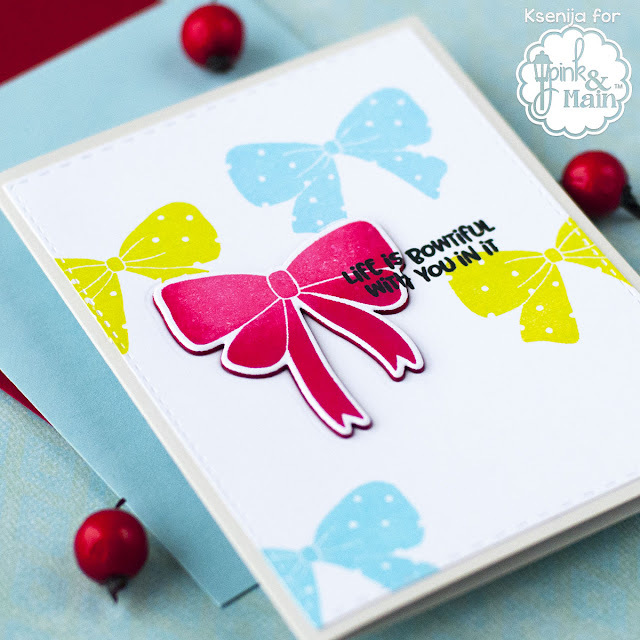 My today's card is featuring the Bowtiful stamps and matching dies set from Pink And Main( PNK | SSS ). 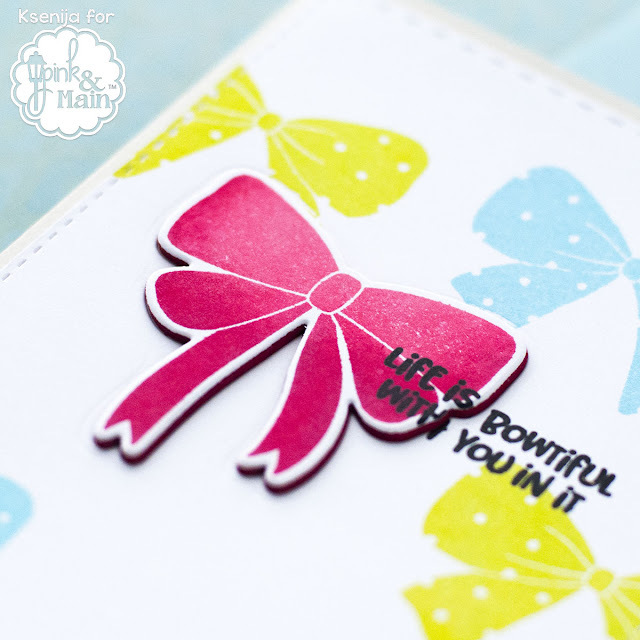 This set contains four big solid stamps of bows, a small bow, a tiny tag and a bunch of sentiments for various occasions, e.g. Best Wishes, Happy Birthday, and two punny sentiments. I picked the phrase saying: Life is bowtiful with you in it. Isn't it bowtiful, is it? The full version with the step-by-step guide please read HERE on Pink And Main blog. Before I let you go, I would like to share with you this week's offer from Pink and Main. Buy one paper pad and get one free. No code needed. 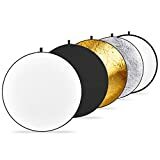 Offer expires at 11:59 pm EST on December 21. Shop HERE. 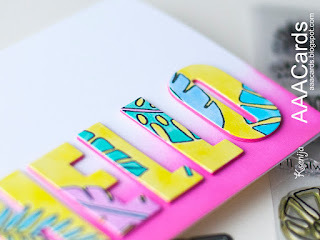 Need more inspiration with dimensional die cuts? Click the photos below and hop over to the blog posts.